ATG’s selection of auction lots bought by internet bidders on thesaleroom.com from the period October 4-11, 2018. This includes both the highest prices over estimate and the top prices paid online. 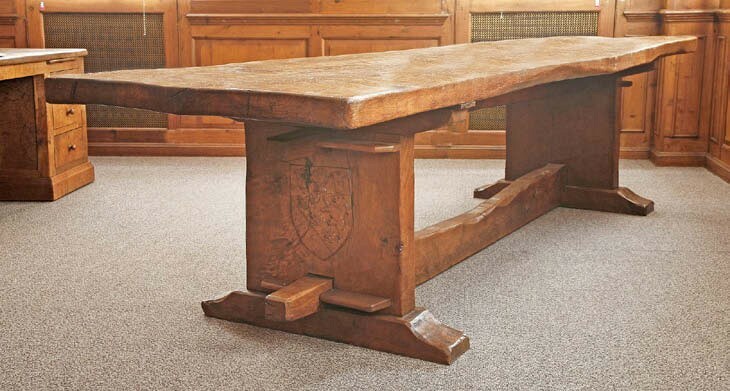 Robert ‘Mouseman’ Thompson oak refectory table carved with the Horlick arms c.1930, from the Horlicks collection. 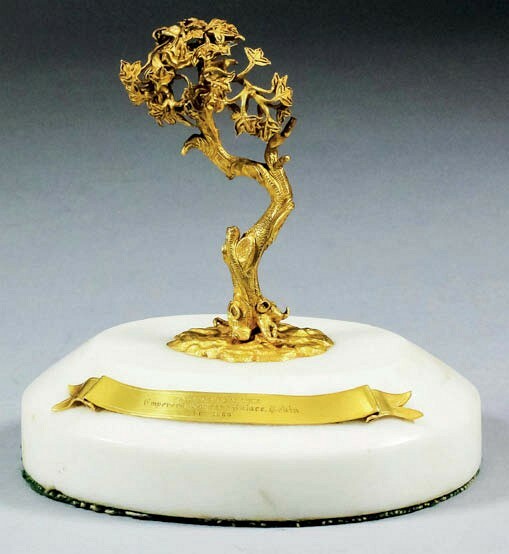 Qing gilt metal model of a tree, 3in (7cm) high, mounted on Victorian white marble oval base inscribed Taken from the Emperor’s Summer Palace, Pekin, Oct. 1860. 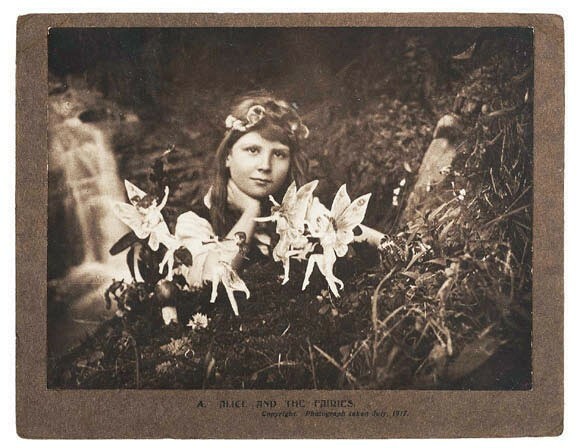 Alice and the Fairies, July, 1917, the first in the series of five Cottingley Fairies photographs. 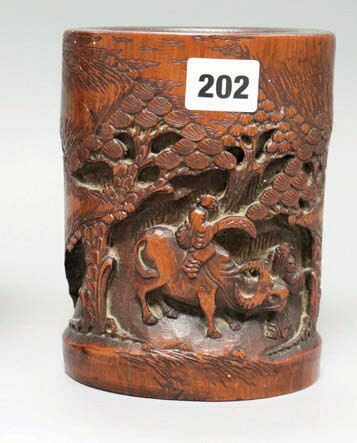 Two Qing carved bamboo brush pots, the tallest 8in (20cm) high. 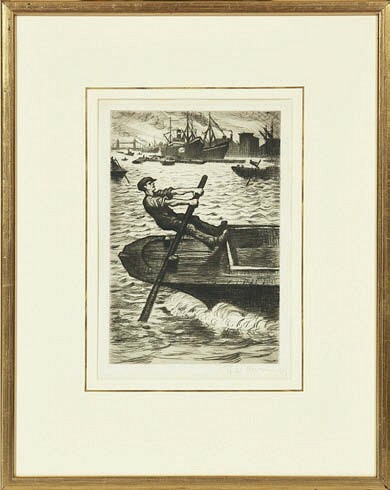 CRW Nevinson (1889-1946), The Pool, etching, signed and dated 1919, 10 x 7in (25cm x 17cm). 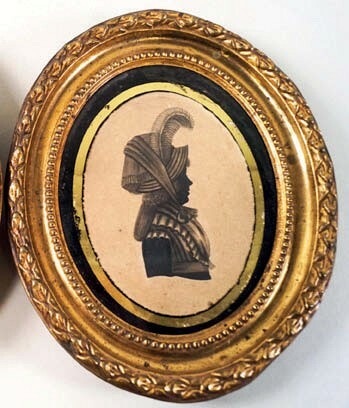 A pair of pen and ink silhouettes in gilt metal frames, one inscribed P. Wheeler, Profilest to to ye princesses, Pound St Windsor, August 6th 1795. 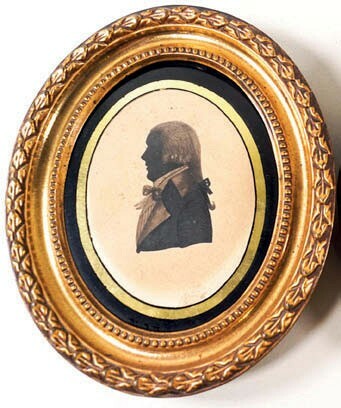 Source: Bid Barometer is a snapshot of sales on thesaleroom.com for October 4-11, 2018.